After two weeks of uncertainty of the remaining slots in the uhuruto cabinet , president Kenyatta made a conclusion by appointing his right hand men and women who will help in fulfilling the jubilee agenda known as ‘ big four’ agenda that focuses on food security , affordable housing , manufacturing and affordable healthcare to all . 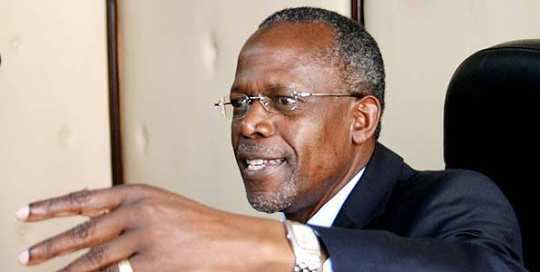 Unlike the first announcement that excluded some of the incumbents , living their fate unsealed , the yester appointment ,saw all the previous cabinet secretaries either re appointed or settled in the ambassadorial positions . The appointment of Rashid Achesa for the sports and heritage dockets and reaasigment of Eugene wamalwa as the Cabinet for devolution has drawn massive support from their home turf of Western Kenya with leaders from the region lauding the president move of having the two in his last leg cabinet . ” while we were mourning our sister in law ,I just want to take this opportunity to thank his Excellency the president that he has wiped our tears in a very special we and we appreciate it ,by retaining Eugene wamalwa Yvonne’s brother in-law in the cabinet and to some extent given him a bigger ministry and we want to thank him as people from Western not only did he give us Eugene and elevate him as it were he also gave us Rashid Achesa as a nominate again this we do appreciate very much .” Said Muskari Kombo .